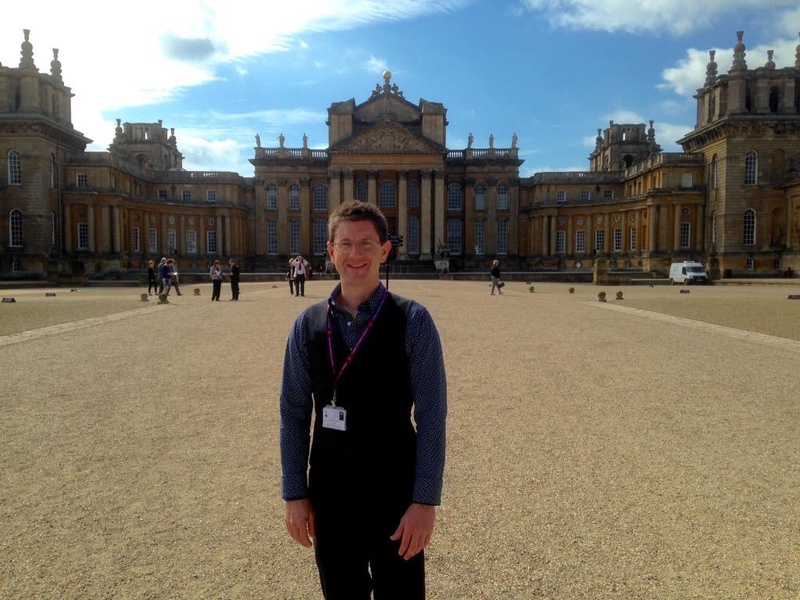 Professor Andrew Rowland gave a lecture at a special event at Sir Winston Churchill’s birthplace of Blenheim Palace, hosted by the Duke of Marlborough’s sister (Lady Henrietta Spencer-Churchill) on Wednesday 27th May 2015, to mark the 50th anniversary of his living legacy – The Winston Churchill Memorial Trust (WCMT), and 50 years since his death. Members of the Churchill family, including Sir Winston’s grandson Jeremy Soames, and his great-grandson, Randolph, were also present; as well as many of the Trustees and Advisory Council from the WCMT. The special day was rounded off with a spectacular Spitfire Display, followed by Lady Henrietta Spencer-Churchill and Randolph Churchill taking the salute at a Beating Retreat given by a marching band. Andrew is Consultant in Paediatric Emergency Medicine in Manchester, Honorary Professor at the University of Salford, and a Churchill Fellow (2014). Professor Rowland said, “Being invited to lecture at this special event hosted by Lady Spencer-Churchill was a real honour. “My report is aimed at improving the protection of children in the UK and beyond and my lecture was a good opportunity for us all to remember that it is communities that are best able to protect children from exploitation and other forms of abuse. We can all do more to protect the most vulnerable members of our society. “Children are the future of our global society and that society will only prosper in the future if the children of today are better protected. Every child should have every chance of good health, every chance of happiness and every chance of protection from harm. Since 1965, over 5000 British citizens have been awarded Churchill Fellowships, from over 100 000 applicants, to travel overseas to study areas of topical and personal interest. The knowledge and innovative ideas they bring back are shared, for the benefit of their profession, their community, and, in lots of cases, the nation. For many people, a Churchill Fellowship proves transformational, and they go on to achieve great things – effecting positive change within society. Andrew’s Fellowship Report (Living on a Railway Line) was launched by the University of Salford at an event at MediaCityUK on 20th October 2014 in advance of the 25th anniversary of the signing of the UN Convention on the Rights of the Child. A quarter of a century later, Andrew believes that there are still laws policies and procedures in the UK and internationally which fall way short of properly protecting children. Andrew’s Fellowship journey took him to Texas, Arizona, Pennsylvania, Colorado, Singapore, Malaysia, Hong Kong and Cambodia. 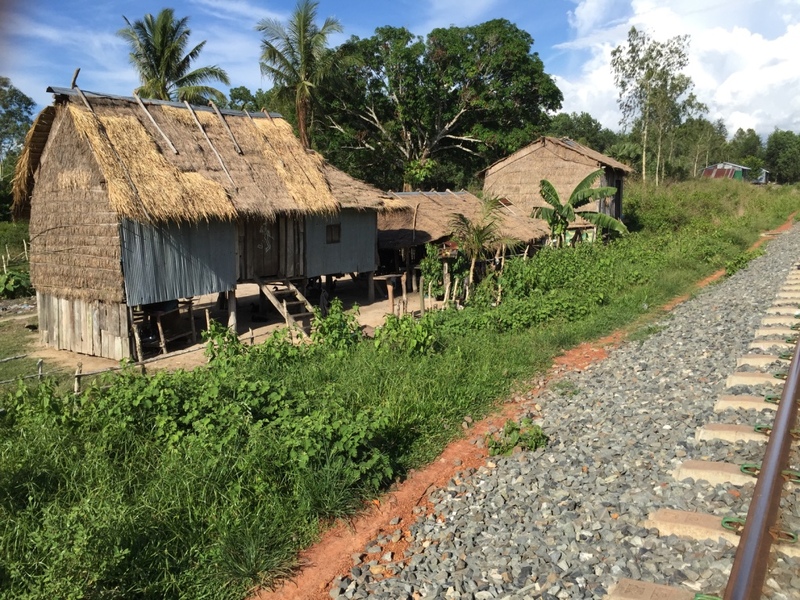 It was whilst undertaking a mobile health clinic beside a railway line in Sihanoukville, Cambodia that he was inspired to give his report the title Living on a Railway Line. He flew 35 043 miles, spent 10 weeks away from home, and visited nine cities in five different countries – meeting an outstanding group of enthusiastic and dedicated child protection specialists from around the world. His report contains ten key recommendations for the UK designed to build strong and healthy communities with children at their hearts. Themes that are covered in his report include better training to recognise and respond to cases of potential child sexual exploitation, the need to prohibit physical punishment of children, advocating on behalf of children and young people and mandatory reporting of child abuse. Andrew’s recommendations surrounding professional education about child abuse and neglect have already resulted in an event, co-hosted by Andrew and a Member of Parliament, aimed at empowering practice and inspiring innovation amongst front-line practitioners which he hopes will result in better identification of children at risk of child sexual exploitation. Earlier this year Andrew also announced the launch of a new three-year Global Partnership to help vulnerable children living on and around the beaches and streets of Southern Cambodia. The main goals of the partnership are to share clinical expertise as well as knowledge of child protection, and child health, issues between the partnership organisations so that all three can develop and learn new skills from one another. At the event, Andrew indicated that later this year he will be formally launching a new charity: SicKids aimed at promoting the Human Rights and advocacy of children and young people both in Manchester as well as Southern Cambodia. Since 1965, over 5000 British citizens have been awarded Churchill Fellowships, from over 100,000 applicants, to travel overseas to study areas of topical and personal interest. The knowledge and innovative ideas they bring back are widely shared, for the benefit of their profession, their community, and, in lots of cases, the nation. For many people a Churchill Fellowship proves transformational, and they go on to achieve great things – effecting positive change within society. To mark its half century, The Trust has awarded a record number of 150 Travelling Fellowships in 2015 – investing over £1.3m in British citizens. This year’s Fellows will travel to 58 countries between them, across six continents, where they will carry out a wide range of projects. The average length of a Fellowship is 6 weeks. Many events are being held throughout the year to celebrate Sir Winston’s life and legacy. Legacy, to highlight, develop and enhance the existing work of Churchill organisations in delivering programmes focusing on leadership, debate and public speaking. Churchill 2015 is being led by an alliance of those charities and institutions with an interest in the life or legacy of Sir Winston. For a list of partners and planned activity see www.churchillcentral.com. 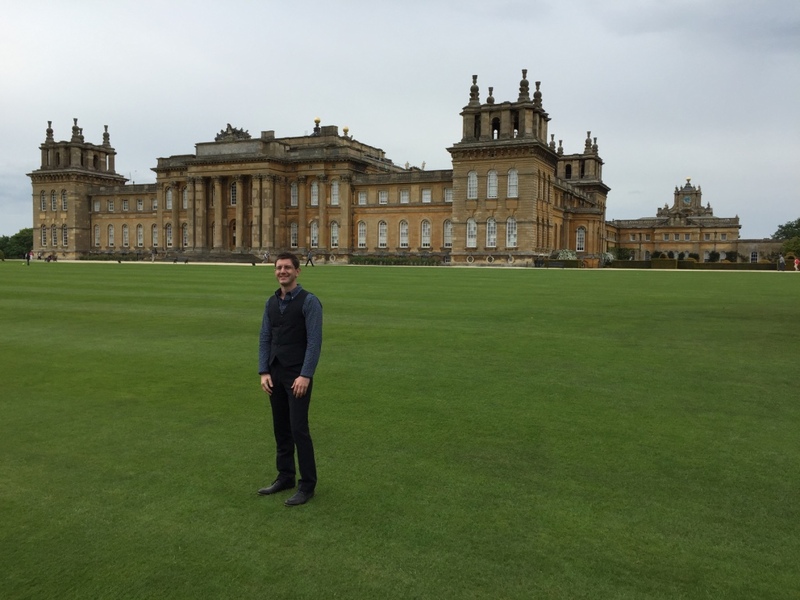 Speech delivered at Blenheim Palace: we all have a responsibility to create safe places for children to live the lives that they would wish to. Speech delivered at Blenheim Palace, Oxfordshire, UK, 27 May 2015. Ladies and gentlemen, some children in the world are physically living on a railway line; other children are metaphorically living on that same railway line, never sure where the next insult to their emotional and physical integrity is going to come from. Child abuse and neglect is not something that just affects children overseas; we know that right now, today, in regions all across the UK, children are being abused, neglected and exploited by the very families and communities that ought to be caring for them. My Fellowship last year took me 35043 miles. Nine different cities in six different countries and I produced a report – Living on a Railway Line – that has made ten key recommendations to turn the tide of child abuse, exploitation and neglect in the UK and overseas. Each year in the UK of those children who are physically abused over a quarter of a million are injured and about 75000 require medical attention. 20% of 11-17 year olds have been severely maltreated by a parent or guardian and 1 in 20 children has experienced contact sexual abuse. So what, ladies and gentlemen, are YOU going to do about it? Before I explore that further, a video. I’ve deliberately blocked out the faces of the children who were shown in that video but you can take it from me that it wasn’t just one child that was being sexually exploited. Ladies and gentlemen, the world really is in greater peril from those who tolerate or encourage evil than from those who commit it. But that is about Cambodia, surely? Am I really suggesting that children here in the UK might be being sold as you have just seen? Well, maybe not for 300 US Dollars but we need to look more deeply at WHY families take this last resort to understand that the principles behind why that exploitation happened are not a million miles; not a thousand miles; not EVEN a few miles away from the cases of terrible exploitation you can’t have failed to have heard about here in the UK. I have no doubt that, as we have seen through the investigation of exploitation cases, children ARE being used as a form of currency here in the UK and that is something we have to put a stop to. Ladies and gentlemen, there are a series of legislative changes that I have recommended in my report. There must be a new law introduced in the UK legally requiring professionals working in regulated activities to report cases of suspected child abuse. To do otherwise would be as egregious as the abuse itself. The terms child prostitute and child prostitution must be removed from international legislation as they do not acknowledge that these children are actually victims of serious sexual abuse and exploitation. There have been many decades of research showing that children who are physically punished are at greater risk of adverse mental health outcomes and are more likely to be defiant and aggressive in the future. Just because that hasn’t happened to you or your children doesn’t mean everything is ok in the rest of the population. The UK position, where physical punishment of children is permitted yet child abuse is forbidden, cannot continue and, in line with 44 countries around the world, the UK must change the law to prohibit smacking of children. It really is easier to build strong children than to repair broken men. It is not just legislation that is needed. April each year is Child Abuse Awareness month in the USA. It starts with a Presidential proclamation underlining the importance, at the highest level of government, that is placed on this event. As a nation we in the UK must do better – we have to strengthen our resolve to give every child and young person the security, opportunity and bright future that they deserve. The newly formed UK Government should consult with key child protection stakeholders and launch a pilot UK Child Abuse Awareness month as soon as possible for education is the most powerful weapon which you can use to change the world around you. 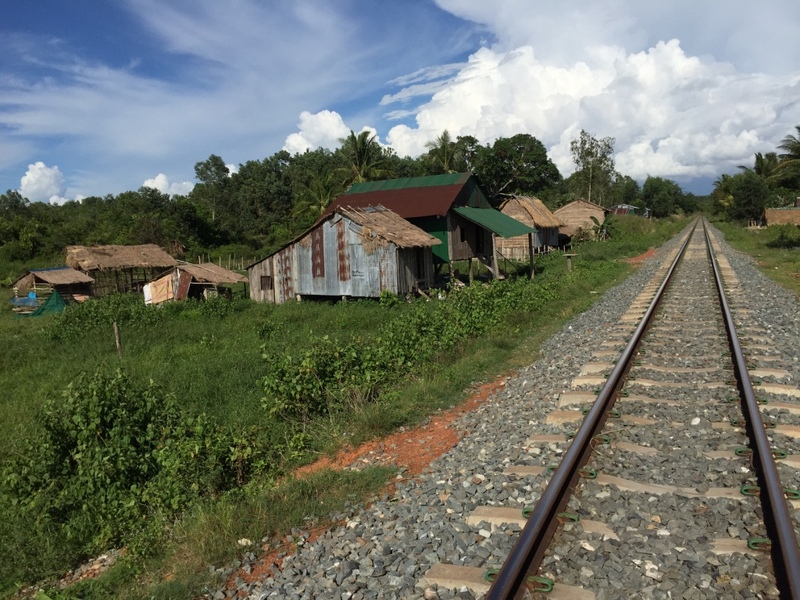 No one could fail to appreciate the dangers the community living beside the Railway Line I visited in Cambodia are exposed to. I want to finish today by talking about that community as we, in the UK, have a lot to learn from them. A community that I’m privileged to now be supporting as part of a three-year UK-Cambodian partnership I have set up, following my Fellowship. But, what is it that YOU can do to stop that train coming down the metaphorical Railway Line here in the UK and to better protect children from harm? The answer lies in the amazing achievements of the ChildSafe scheme and an organisation called M’Lop Tapang in Sihanoukville, Cambodia. These schemes protect children from all forms of abuse, they prevent children and young people from engaging in dangerous activities and they influence all tiers of society and the international community so they can create positive environments for children and young people. ChildSafe gets the community to go back to basics to protect, nurture and support the children living within it and I am confident that launching a UK-specific ChildSafe Scheme here will have startling and life-changing results for the community in which it is introduced. And alongside that, so that we can all play our part in protecting children in the international community I want the UK travel industry to sign-up to and promote the ChildSafe concept and the 7 top tips for travellers. Simple but powerful messages that will help us to protect those people who are the future of our society. For our current society does a great injustice to children when we fail to listen to their views, fail to facilitate their true participation in the world around them and fail to value their contributions towards shaping a better society for everyone in the future. And, ladies and gentlemen, if you come across adversity and if you are not listened to when trying to help children and young people please remember that, no matter what anybody tells you, it IS words and ideas that can and do change the world. You can make those changes that I’ve recommended happen. You can make a difference. The majority of children in society are not abused, harmed or exploited. Every child truly matters and that is something that my new charity, SicKids, will reinforce. Every child should have every chance of good health, every chance of happiness and every chance of protection from harm. We all have a responsibility to create safe places for children to live the lives that they would wish to. These are not just words but a realistic possibility if all of the communities in our global society pull together. Because, ladies and gentlemen, what IS the use of living if it be not to strive for noble caused and make this muddled world a better place for those who will live in it after we are gone? Those who have the least are often those who give the most. That is a lesson I have learned over the last week in Cambodia. 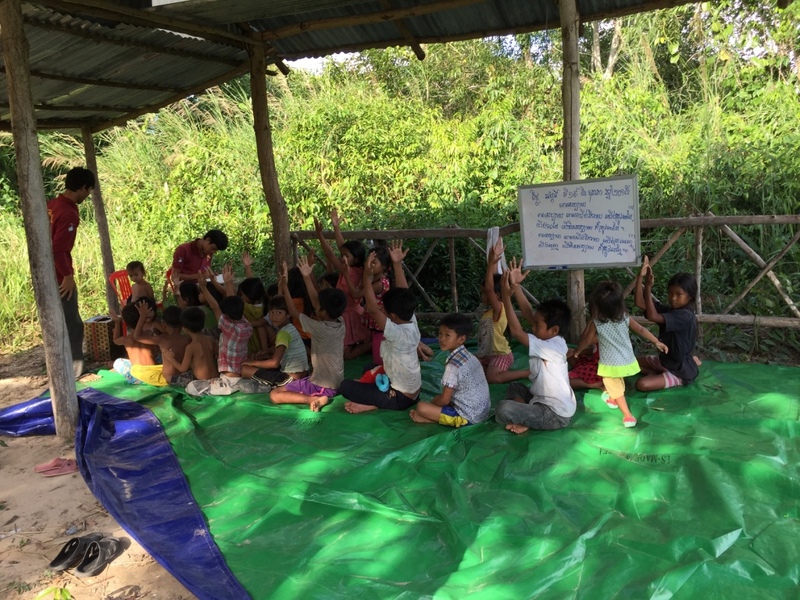 I’ve been working with an organisation, M’Lop Tapang, that provides health and social care to over 4000 vulnerable children and over 1500 families who are living in desperate situations in Southern Cambodia. The average daily income of a person living in Cambodia is less than $3 USD. Some families literally have nothing. Yet one of the first things that happened here when the tragic earthquakes struck in Nepal is that the M’Lop Tapang community started to raise funds for the people affected in Nepal in an incredibly altruistic move to support those people elsewhere in the world who have had their existence turned upside down, without warning. Those who have the least really are often those who give the most. After a morning’s clinic we took a 4×4 into the jungle to a community that M’Lop Tapang only started working with recently. They are 5km away from any school or health facility and there are no transport links here unless you have a 4×4 or motorbike although the train goes right through the jungle – and on towards China. After having been introduced to the Village Chief, who rewarded us with coconuts, we started the clinic – on a ground sheet near a tree in the village. In the middle of the jungle. I’ve been stunned by the cases* that I have seen this week with the M’Lop Tapang medical team. For example, a 6 year old and a 9 year old, who have not seen a doctor since 1 and 9 months of age respectively, both of whom have severe developmental delay and quadriplegic cerebral palsy. They have been looked after by their families and the community in a village, without coming to the health centre. Many families living in those circumstances cannot afford the moto or tuk-tuk fare to come into the urban area. The number of disabled children living in the community is staggering and there is an urgent need for medical care, social care and specialist education for these children. The public health, social care and education systems cannot, or do not, provide this assistance so it is left to non-governmental organisations to provide all of the care and support that this especially vulnerable group of children need. We’ve seen a six month old baby, whose daytime carer is her 14 year old sister (who has had to drop out of school to look after her whilst their mother packs seafood caught by the local fisherman – their Father has vanished). This little, and I use the word ‘little’ deliberately, baby has survived for six months on just sugar and water. No milk. No porridge. Nothing but sugar and water. We’ve seen a little girl – age and birth date unknown – who was rescued from a dustbin where, weighing under 3kg, she’d been abandoned in a plastic bag. Sad those these stories are, all of them will be success stories in the future thanks to the amazing work of M’Lop Tapang. The two children from the rural community have been put into an intensive support educational programme at M’Lop Tapang and the special needs teachers will visit at home. The six month old is now on milk and looking pretty chirpy! The little girl from the dustbin has been taken in by an incredibly caring family and receives medical care at M’Lop Tapang. Apart from being small and malnourished, she is now in pretty good condition and, of course, in a much safer environment. And what for the future? Our fantastic team back in the UK at the Hospital and the University are committed to supporting M’Lop Tapang for the duration of our three year partnership. We’ll review and evaluate the outcomes towards the end of those three years and discuss how best to continue support in the future. Our monthly Skype clinics will continue and I’ve seen the exponentially beneficial effects of these already. I’ll be back here in November, hopefully with one of our superb nurses from my Hospital, to undertake some more clinics and to develop some more guidelines for the health centre at M’Lop Tapang. And as for next year I hope to bring an even larger team to Cambodia, from our Hospital, the University and a new UK charity that is just about to be launched. 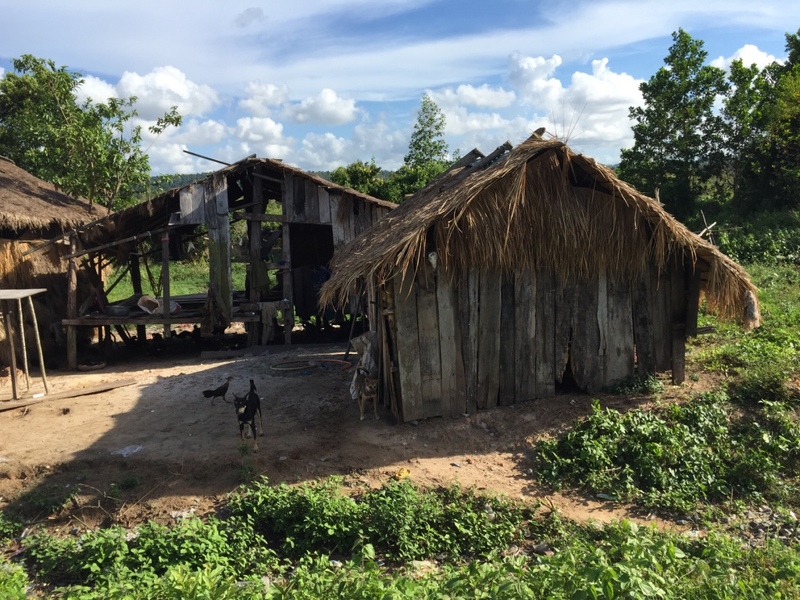 Over the next few months we’ll be looking for partners in the UK who might be interested in funding some of the development work here in Cambodia – an opportunity that I can guarantee will be fulfilling, both professionally and personally, and will have enormously beneficial effects on a community that is desperately in need of help. After calling in at the British Embassy, on my way to the airport, for a meeting to discuss my return visit in November 2015, I’ve now left Cambodia and am in Singapore for a meeting with the child protection team from the children’s hospital here. I wish I could stay in Sihanoukville longer as, despite the adversity faced by the community here, it is stories of resilience and community-spirit that have made this week one of the most professionally and personally satisfying ones of 2015 so far. I’ll be back in less than six months time! *identifying features of the above cases have been changed to protect confidentiality. “I thought he was dead and that I would never see him again”. Samnang’s story that brings hope to others. Let me tell you about an eleven year old boy, we’ll call him Samnang to protect his identity, who was living happily with his Mother and Step-father. His biological father had left years ago and was living as a Monk in a temple. Samnang’s Father wanted his son to come and live with him in the Pagoda so that he could get an education and become a Monk in the future. 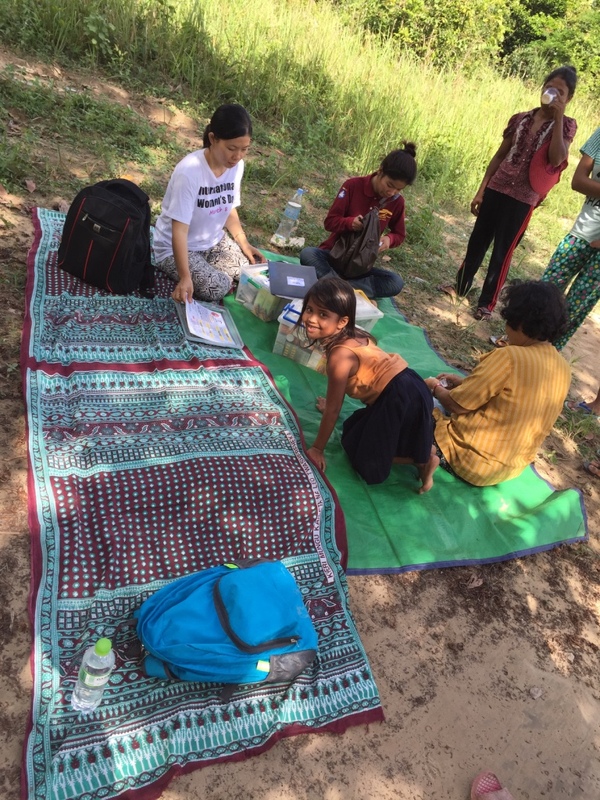 Samnang’s Mother finally agreed and Samnang moved away to live with his Father. Sadly, his life quickly became a nightmare. His father was violent and abusive. He fought with Samnang – hitting and kicking him so hard that young Samnang had injuries all over his body. Samnang decided run away from the Pagoda and from his Father. With just a couple of US dollars in his pocket he took a truck to Sihanoukville. He did not know what he was going to do once he got there. He just knew he had to get away. When he arrived he walked around alone. Tired, he stopped and sat down to watch a group playing volleyball in an open field. He sat there watching the people play volleyball until the sky became dark and all the players had gone home. He started to cry because he didn’t know where to go and was afraid and alone. A woman walking by saw young Samnang sitting alone and crying and stopped to ask him what was wrong. After listening to Samnang and learning about his story, she called the ChildSafe 24-Hour Confidential Hotline for help. Samnang didn’t know how to contact his mother and couldn’t remember her phone number but the hotline staff from M’Lop Tapang found him a safe place to stay in Sihanoukville. Meanwhile, Samnang’s mother had learned he had run away and was trying to find him. She had been to the local police department and filled out all the necessary documents there. A few days later she came to M’Lop Tapang to ask for help and provided their Child Protection team with photos of her son, his background and her phone number to contact. That same afternoon one of the staff recognized the boy in the photo as the same boy who had been found crying alone in the volleyball field. Late that afternoon, Samnang and his Mother we reunited. When they met each other again they were so excited and they both cried because his Mother thought that Samang was dead and she thought that she would never see him again. M’Lop Tapang’s Child Protection team and local authorities continue to work on the case. This is just one story, but I could have told you 4499 other stories about the children that M’Lop Tapang have helped over the past year. Or the 1500 families who have received support. Or the 20400 care episodes that have been delivered by the M’Lop Tapang medical team. Of course, I have a conflict of interest to disclaim – I’m one of the members of the Board of Directors of M’Lop Tapang and will be working closely with them over the next three years to help develop, support and evaluate their health and social care activities here in Sihanoukville, where I’m spending this week. Statutory services are virtually invisible here and it is through the work of non-governmental organisations, such as M’Lop Tapang (which means under the protection of the umbrella tree) that these 4500 children who live on the beaches, streets and slums of Sihanoukville are protected and helped to survive. The wet season is about to start so the M’Lop Tapang staff are frantically visiting every area in Sihanoukville, its beaches, its streets, its jungles and its slums, to find children and families who are in need of support as the rains are just about to arrive. House repairs are a priority at the moment – in the last twenty four hours we’ve moved from 37 degree bright sunshine, with not a cloud in the sky, to a huge electrical storm that blew out all of the electricity and threw down rain on us out of buckets in the sky. On Monday I’ll be spending the day in the health clinic and then on Tuesday I’ll be heading off with the outreach team to hold a clinic in one of the make-shift villages near the jungle – where the families can’t afford the tuk-tuk ride to bring their children for health care to the main health centre in the town. I’ve just finished dinner and have been watching the sunset over the ocean thinking about what I would write before bed tonight. 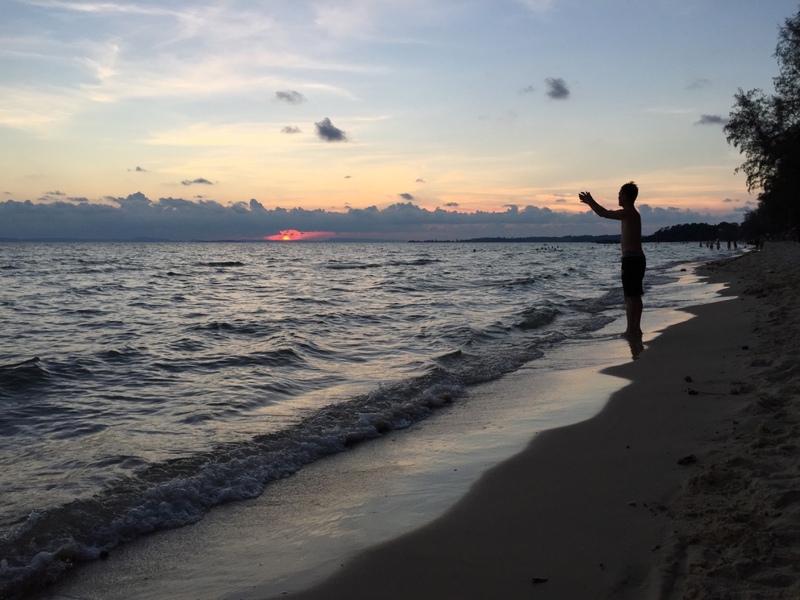 For some, this is an idyllic beach with some of the most amazing sunsets I’ve ever seen. For others, it is their home. 2016 Travelling Fellowships applications are now open. What are you waiting for? Apply now…! The award of a Churchill Fellowship in 2014 has been one of the major highlights of my professional career so far. Being given the freedom and support to pursue a plan I had to introduce changes to better protect vulnerable children at risk of abuse and neglect has given me much greater self-confidence to say what I believe in. Putting together a comprehensive report backed up with international evidence will, I strongly believe, help to turn the tide of child abuse and neglect in the UK and beyond. The Fellowship award from The Winston Churchill Memorial Trust has opened doors I did not even know existed and has resulted in the launch of new projects which, I hope, will make our world, full of danger as well as opportunities, a better place for children to live in, wherever they come from and wherever they live. I’ve met inspirational people from around the globe who have filled me with enthusiasm to make a real difference to children, no matter how small or large that difference might be, and I’ve developed the professional skills to push forward children’s advocacy at every possible opportunity. If you are in any doubt at all about applying for a Fellowship you need hesitate no longer. The incredibly dedicated and professional team at The Winston Churchill Memorial Trust will help you to make your project dreams a reality, and I am totally confident that you will have the most wonderfully fulfilling professional experience that you could ever wish for. It really is a Fellowship for Life. What are you waiting for? Get your project proposal together and submit your application before it is too late! Make sure that you are eligible to apply. Read about the benefits for you and others including your employer. For more details, read about the application process, the timeline and inspiring stories from other Winston Churchill Memorial trust Fellows.